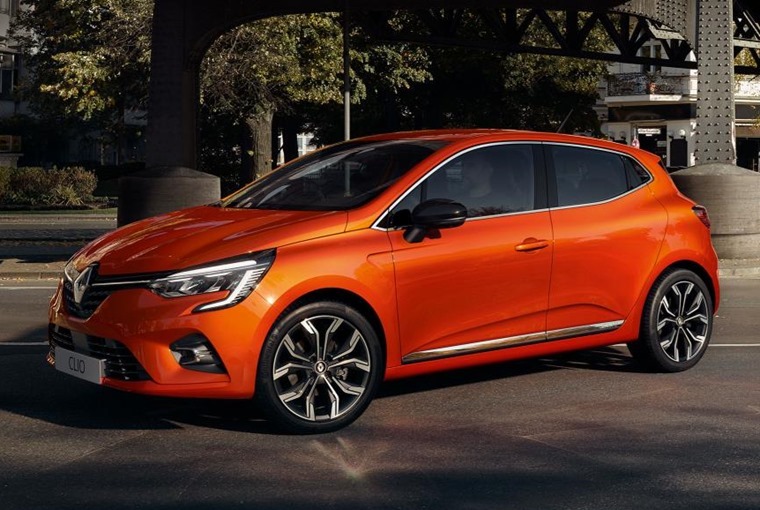 The 2019 Renault Clio has been unveiled at the Geneva Motor Show. It’ll be available from the autumn, priced from around £14,000. Launched in 1990 the Clio has become Groupe Renault’s best-selling model worldwide. Looking to continue that success, the new model combines a host of new tech, an updated external look and a high quality interior. Other changes include LED headlights that are standard across the range, while the rear door handles have also been moved to the door pillar providing a sleeker look at the side. More than a car... a real icon. ? At the rear, the taillights mirror the C-Shape light signature, while a thinner third brake light is now at the top of the rear window. It’ll be available in several new body colours including Celadon Blue and Valencia Orange (pictured). 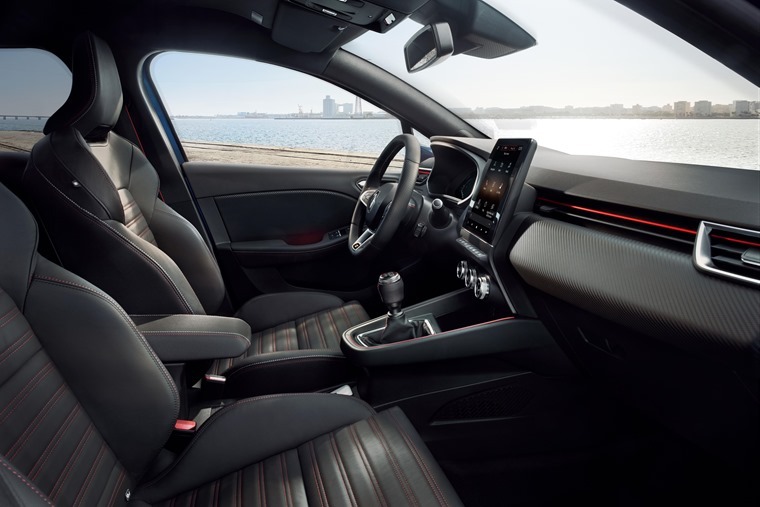 Renault promises a big step up in perceived quality and ergonomics, with a host of high-end soft-touch materials replacing the hard plastic finish found in the current car. The dashboard gets a cleaner, more compact design to free up space too, and integrates a new Smart Cockpit. A 9.3in portrait touchscreen is the largest ever fitted to a Clio and will feature the company’s latest Easy Link connected system. A digital screen replaces traditional analogue dials too, although it’s not get known if this will be standard across the range. 7in and 10in versions will be available, with the 10in version including a display area for the satnav. 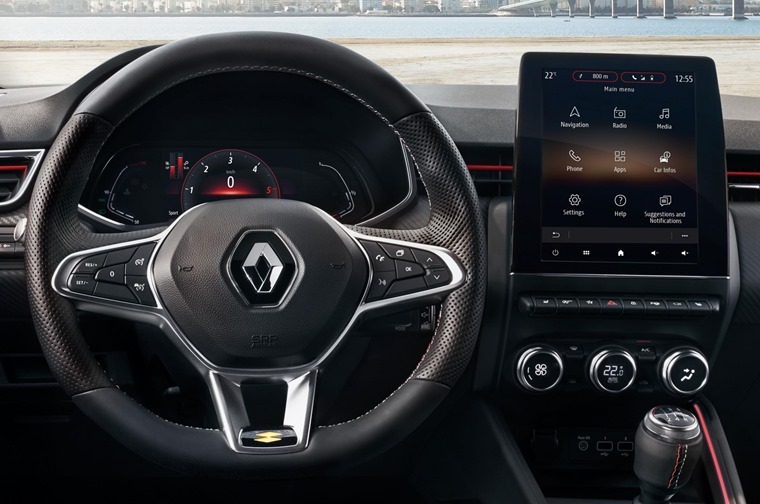 Renault says the new driver displays can be used to “customise the driving experience in a highly intuitive manner”. Other changes include a new steering wheel, updated seats and more ergonomic door panels. Exact specifications are to be confirmed. Boot space has increased to 391 litres, while a new double floor aims to simplify everyday loading. Meanwhile, the airier cabin is reflected by an extra 26 litres of passenger space storage. Trims are to be confirmed, but Renault will replace its sporty-looking GT-Line with aforementioned RS Line trim. Inspired by the company’s performance vehicles, it’ll be further set apart by 17in alloy wheels, sports seats and aluminium pedals among other changes. 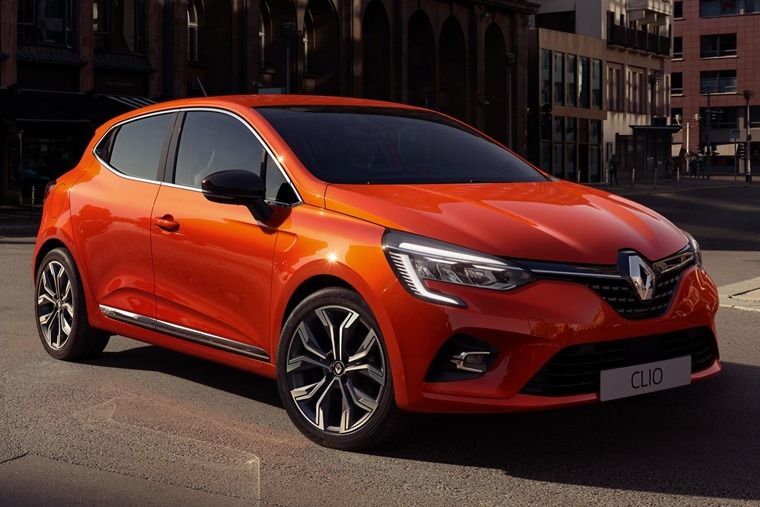 Exact engine and drivetrain specs are to be announced, but the new Clio sits on the same platform as the latest Nissan Micra. This means it’ll be available with a 0.9-litre turbo-petrol producing around 90bhp, while a more potent 1.3-litre petrol will also feature. A 1.5-litre diesel is likely to make the line-up, while a 1.6-litre petrol-hybrid will be available from 2020. Expect a Renaultsport performance model to be announced in due course. We’ll bring you more info on the new Clio as it is revealed. 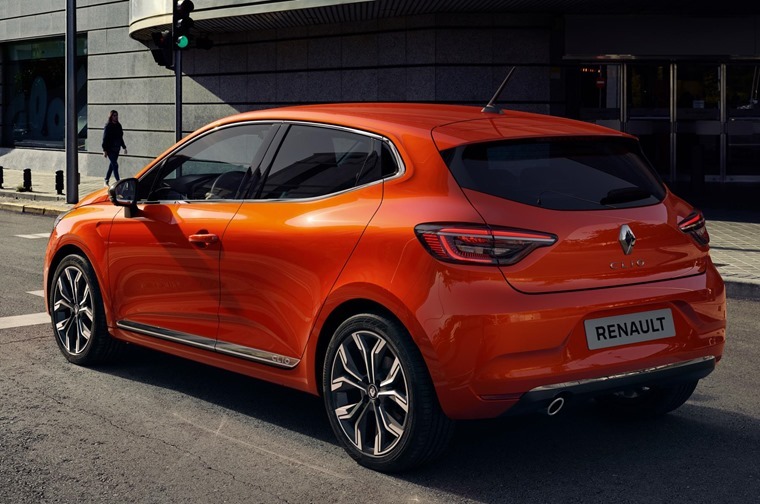 In the meantime, however, you can check out our review of the latest Megane RS here, or find lease deals on the current Clio here.